This week is Top Ten Popular Authors I've Never Read. There are a lot of popular authors I've never read... Short and to the point. And I'm sure we have a few in common! I also added one I've avoided and one I've tried (so many times!) but just can't. Maybe that's because I've only tried her YA offerings? These are the authors I just haven't read yet. Although I now have a few books on my TBR - I even actually bought a few! And I got Vampire Academy out of the library. Just... I'm not the hugest fan of horror but I know what I like within the genre. I like gritty, British horror, where it's subtle and builds slowly and has so much more to do with atmosphere. I tried Stormbringer and put it down after just the first page. Why? The first line. And that terrible start has put me off this author for ever. I think I'll stick to Elizabeth Chadwick when I need a historical fix. Great list, thank you for stopping by my TTT! I'm starting VA later this week, I got it out of the library to read. Thanks for stopping by my blog, Cora. :) I have only read Jodi Picoult, Meg Cabot and Richelle Mead from your great list. I haven't read from most in your list except for Jodi Picoult and Meg Cabot. I love their writing! I really want to read Sarah Dessen. Love, love, love Richelle Meads VA/ Bloodlines book. I hope you enjoy VA. I recently read one of Sylvia Days books. I hated it. I wish I could have her name on my list haha. I had been putting off Rossi for awhile as well, but just read Under the Never Sky and freaking LOVED it. I ended up reading the first two books back to back. Definitely recommended. I also really enjoyed Vampire Academy - it's so much better than it's title suggests, to me. And the Heist Society books by Carter are just pure fun, quick reads. If that's the kind of horror you like, you might enjoy 11/23/63, which is King's time travel book focused around the time of the Kennedy assassination. I actually don't usually love horror, and I really enjoyed this one! I've read books by a lot of the others on your list, but I will say this, you need need need to read anything by Jodi Picoult & Sarah Dessen. First time with them I would suggest maybe Nineteen Minutes or House Rules by Jodi and Along for the Ride or Lock and Key by Sarah, those two are some of the finest female authors and you will not regret picking up one of their books. I've added those to my TBR and will check them out soon - hopefully the library can get them in for me. Starting Vampire Academy this week, can't wait to get stuck in now! you are very much welomce. They are two of my favrouites so I'm happy to recomend them to anyone, any book by them will do if you cant find those :). I've also avoided Stephen King. I do aim to try one of his books very soon though. 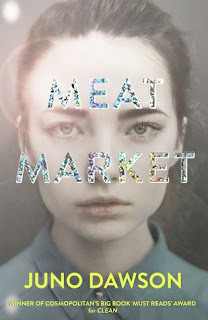 Richelle Mead and Ally Carter are on my list. I would pick up a Sarah Dessen if you get a chance. I find her books really enjoyable. I have been wanting to try Cabot and Rossi sometime, they just not high on my TBR list with so many other awesome series out there too. 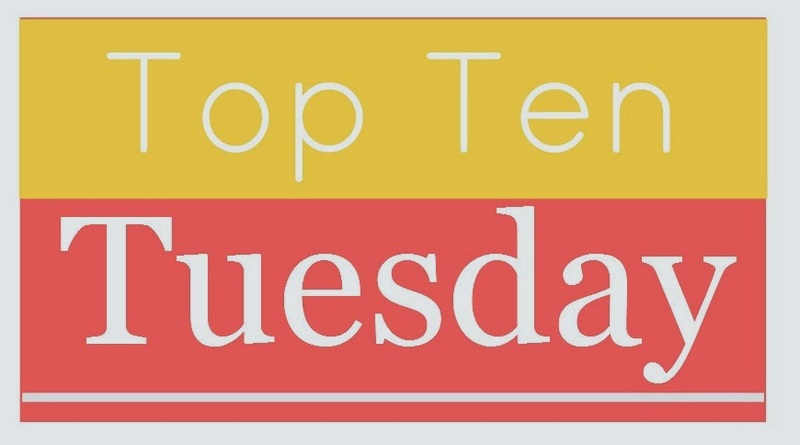 Thanks for stopping by my Top Ten Tuesday! You know, I picked up a Jodi Piccoult book once and never finished it, so I should probably give her another try. I've never read Phillipa Gregory either, but I have a sister who loves her. And I read exactly one Anne Rice novel and hated it. So...yeah. :D So many authors, so little time. *Sigh* Now following you via GFC and Bloglovin'. Veronica Rossi I haven't read either. I LOVE Vamp Academy. Definitely one of my top series ever. I hope you love it as well! I've only read books by Richelle Mead and Philippa Gregory and I love them both. Richelle Mead is probably one of my favorite authors and her Vampire Academy series is amazing, I hope you like it too. And Philippa Gregory her adult books like the The Tudor Court series is actually a lot better than the one you have read. Gregory is on my list as well. I hope to get to one of her books this year. Definitely gotta check out VA soon. Such a fantastic series. And Dessen is one of my favourite authors. Hope you can check her out soon. I really like Picoult's books! I haven't read the rest on your list either. Everyone is telling me to read Vampire Academy now though, haha. Thanks for stopping by my TTT! You must, must, MUST read Richelle Mead's Vampire Academy/Bloodlines series! They are both amazing! Adrian is seriously my top book boyfriend! Thanks for stopping by my post! Great list! I don't think I would ever read Jodi Picoult's novels. They are way to tear-jerking for me to handle. I must admit that I haven't read any books of the authors you mentioned above. I do have some copies by them, but I haven't gotten to the point of actually reading them. Maybe I will, sooner or later!